The 10” Rainwater cartridge is generic in design and suitable for use with rainwater. The cartridge will filter down to 15 microns and will also treat colour and odour issues. 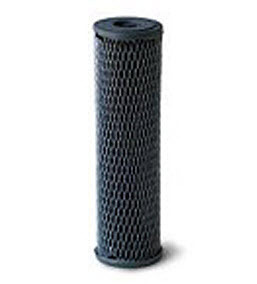 The internal filtering membrane is impregnated with a carbon compound to achieve these features at flow rates up to 25 litres per minute. The 10” rainwater cartridge is used within housings that are typically connected to rainwater tanks where the rainwater is then connected to washing machines and toilets within the home. This cartridge (and system) should only be used where it is servicing no more than three internal connections/applications. Provides sediment removal down to 15 microns whilst treating colour and odour at the same time. Please note that the filters useful life will be totally dependant upon the quality of the rainwater within the tank and usage.